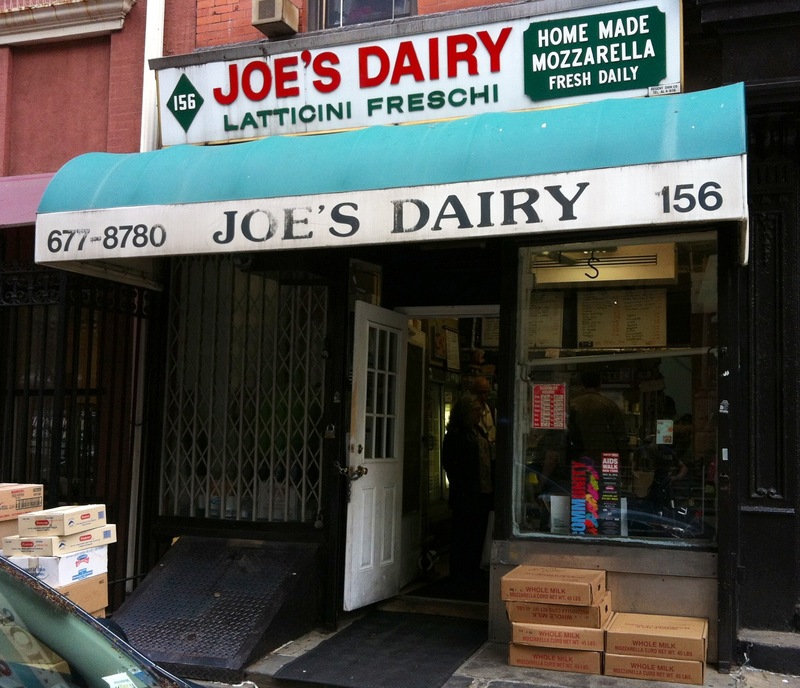 A neighborhood culinary treasure, Joe’s Dairy, closed up shop this past Saturday on Sullivan Street. 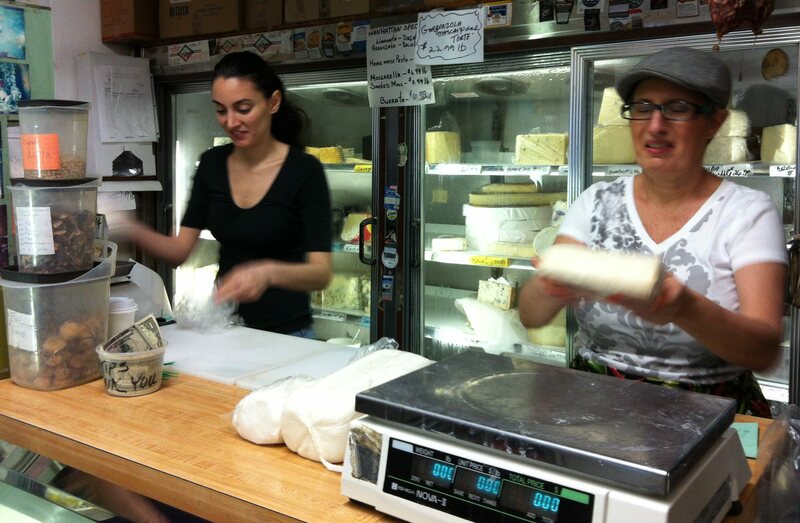 Longtime creators and purveyor’s of the most delicious homemade, smoked mozzarella, and other delicacies, the closing of Joe’s is a cheese-lover’s catastrophe. Who can forget the first time they smelled that delicious smoked mozzarella, smoked right there, in the basement of their storefront? The dairy’s owners were rumored to have grown tired of the neighborhood’s new bustle and clatter, finding it no longer livable after 40 years here. We wonder, also, whether Jared Kushner’s recent purchase of the 156 Sullivan Street building had anything to do with the dairy’s decision to pack up and move on. Before Joe’s closed up, we watched other changes: When we moved to the South Village in the early 1990s, there were two bakeries – Vesuvio’s on Prince, and Zito’s just above Bleecker. All of this deliciousness was nearby. And sometime in the mid-1990s, Sullivan Street Bakery opened just to the south of Spring. But now all the bread bakers have retired, passed away, or decamped, and our neighborhood is left with sweets – products with higher profit margins and slightly longer shelf lives. Don’t get us wrong: we love the new Dominque Ansel Patisserie on Spring. Check out their croissants. And Birdbath Bakery – that moved into the famous bright green Vesuvios’s storefront – makes a mean chocolate cookie. But the bread bakers aren’t the only ones who have disappeared. The corner grocery store on Sullivan and Spring gave way to another nail salon the end of the 90s. (And, seriously folks, how many mani-pedi’s does a neighborhood need?) The green grocer on Thompson was converted into a high-end retail shop around the same time. And not long ago Porto Rican Coffee closed its doors on Thompson after 30 years on the block. This is the micro-catastrophe of hyper-gentrification: when the affordances that made a neighborhood a pleasure to live in can no longer afford to remain. We have a Greenwich Village Society for Historic Preservation that does excellent work advocating to landmark the built environment. (And we hope they’ll succeed in lobbying the Landmarks Preservation Commission to landmark our section of the South Village soon!) But what we sorely need is some other sort of mechanism to preserve the more fragile fabric of our neighborhoods: ensuring that our grocers, bakeries, butcher shop, coffee shops, and even vanishing laundromats can survive the pressures of overdevelopment. In the meantime, be sure to shop local: H & H Kim and M & O Grocery are among our last neighborhood corner stores. Goodbye to Joe’s Dairy. We’ll all miss you. Another great one is gone. This entry was posted in Uncategorized and tagged local treasures, Sullivan Street on May 16, 2013 by southvillageneighbors.